Jeff Keicher was sworn in as State Representative for Illinois’ 70th District on July 17, 2018, to complete the unexpired term of former Representative Bob Pritchard. The 70th District includes portions of Boone, DeKalb and Kane Counties. Representative Keicher is a proud husband and father of three children with deep roots in the community. His relatives first arrived in the DeKalb and Kane County area in the early 1900s. As a longtime small business owner with years of community experience, Jeff is committed to helping improve the quality of life for local families and Illinois’ business climate for job creators throughout the DeKalb region. Representative Keicher is motivated to serve the citizens of the 70th House District in the Illinois General Assembly. He has built strong community relationships based on trust and personal commitment and seeks to carry that reputation for thoughtful consideration to Springfield. Jeff has been called to lead in many organizations with a strong understanding of the value of dialog and seeking first to listen and understand. He feels strongly that the citizens of the 70th District need representation from an engaged business owner dedicated to doing the right thing, not looking for employment as a legislator. Representative Keicher has extensive volunteer experience in the community in multiple capacities and on behalf of industry groups. In addition to multiple boards and commissions, Jeff has held executive board positions with the Sycamore Chamber of Commerce, the Sycamore Public Library, the National Association of Insurance and Financial Advisors (NAIFA) of Illinois and the Sycamore Rotary Club. He also spent many years serving on boards for the DeKalb Chapter of the American Red Cross, NAIFA Fox Valley, and the Kishwaukee YMCA. 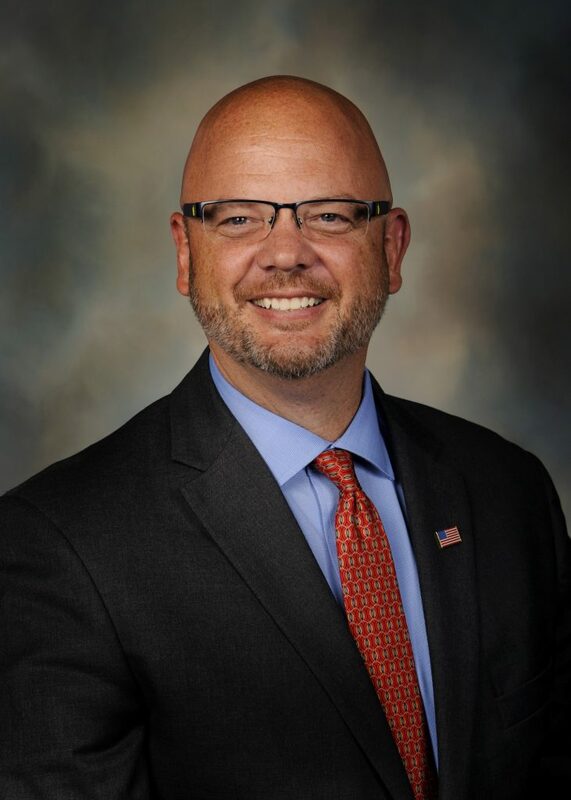 Representative Keicher is a graduate of Northern Illinois University with over 20 years of professional experience in the insurance industry. In 2006, he opened his own State Farm Insurance Agency in Sycamore. It is currently the largest State Farm Agency in DeKalb County and the 3rd largest in the Rockford Territory.